By Tom Kleckner, Michael Kuser, Amanda Durish Cook, Michael Brooks and Rich Heidorn Jr. Solar power and storage providers differed sharply with local distribution companies and state officials in comments filed this week in FERC’s rulemaking on distributed energy resources. More than 50 commenters submitted answers to questions FERC posed, differing on whether aggregation should be limited to single nodes and on the roles of RTOs, state regulators and LDCs (RM18-9, AD18-10). Below is a summary of the major issues and the range of recommendations FERC received, based on RTO Insider’s review of 40 comments. How prescriptive should FERC be in its rulemaking? MISO and ISO-NE, however, urged caution. MISO said FERC should postpone issuing a final rule on DER market integration, calling it “premature.” The RTO said its footprint does not have a high volume of DER installation and said it’s not predicting significant penetration levels, or a need for DER aggregation, anytime soon. “Commission directives requiring major additions to MISO’s existing market platform would yield almost no benefits given the lack of capability of MISO’s legacy technology system and low regional DER penetration. Prescriptive action would incur very high costs associated with retrofitting MISO’s soon to be retired platform … likely delaying the transition to a far more capable system,” the RTO said. ISO-NE also pleaded for flexibility, saying its current market rules and the new approach to integrating storage under Order 841 indicate no need for a DER participation model in New England. “The DER participation model envisioned in the DER [Notice of Proposed Rulemaking] would be costly and disruptive, and would produce no additional value for New England,” the RTO said. The Advanced Energy Management Alliance called on FERC to create a “participation model” with a checklist for RTOs to demonstrate compliance with minimum requirements, like the one it included in Order 841 on energy storage. (See FERC Rules to Boost Storage Role in Markets.) It said the model should cover issues including market access, measurement and verification, and coordination with LDCs. The Edison Electric Institute said FERC should “carefully consider the far-reaching impacts” of allowing DER aggregations to participate in the wholesale markets and defer to the grid operators and states on details. “The proposal has significant implications for the reliability of the distribution system and additional time is needed to install infrastructure and to develop coordination agreements to ensure that the reliability of the distribution system and the [bulk power system] is maintained,” EEI said. “Relying on ISO/RTO stakeholder processes alone to eliminate barriers to market participation by non-incumbent storage and DER participation without commission involvement (as EEI suggested) would not likely yield results consistent with efficient functioning of the market or a fair outcome for these resources,” the groups said. “As noted by many commenters, the ISO/RTO stakeholder processes generally favor incumbent stakeholder members and underrepresent emerging technologies and the public interest. “There is no need to further delay finalizing the proposed rule. Understanding that there might be legitimate reasons for RERRAs [relevant electric retail regulatory authorities] to delay implementation of the rule in their own regions, that may be done by granting a longer implementation timeline for that RERRA or a limited waiver,” the groups said. Should FERC permit aggregation of DER beyond a single node? 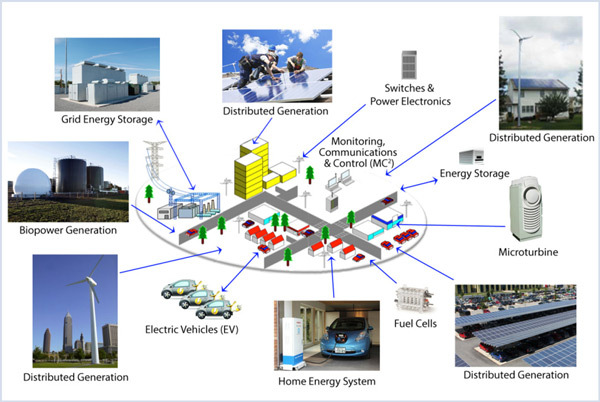 Limiting aggregations to a single node would hurt the economics of DERs and their value to system operators, “restricting their ability to deploy these resources economically and in response to reliability needs,” said Advanced Energy Economy, which represents more than 100 companies and organizations in energy efficiency, demand response, natural gas, renewables and storage. PJM said multi-nodal aggregation would be challenging but that its experience modeling DR across multiple nodes shows it can be done. “PJM does not anticipate any significant modifications to modeling and dispatch software, communications platforms or automation tools to implement multi-node DER aggregations,” the RTO told the commission. 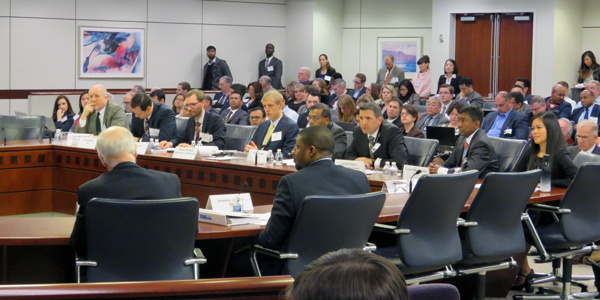 But opponents, including Calpine and EPSA, cited the technical conference comments of PJM Independent Market Monitor Joe Bowring and NYISO Manager of Market Design Michael DeSocio, who expressed concern at the technical conference over aggregation over multiple nodes. “DER aggregation across multiple nodes is inconsistent with the design of the organized wholesale markets, will distort market outcomes and reduce efficiency, and should therefore not be mandated,” Calpine said. The Monitor said DERs can be priced and dispatched at individual nodes and still be aggregated across multiple nodes for settlement purposes. How much control should local distribution utilities have over DER? EEI said electric distribution companies “must have transparency and ultimate control over the resources connected to the distribution system” and that regulators must address cost allocation issues associated with distribution system investments needed to facilitate DERs. “Generally, DER aggregations will increase, not decrease, volatility on the distribution system given its radial design, and because there may be significant changes in power flows that will have to be mitigated to ensure that load can be served under all circumstances,” EEI said. The National Rural Electric Cooperative Association said FERC’s proposal to allow third-party DER aggregators to participate directly in RTO markets will present bigger challenges for its members than the deployment of DERs on cooperatives’ systems, requiring them to invest in new equipment and software. “Third-party DER aggregators participating in the RTO/ISO markets will have incentives to operate the DER in response to wholesale market signals, which can pose operational, reliability and safety issues for local distribution cooperatives,” NRECA said. “These factors were an integral part of the commission’s decision to permit RERRAs to decide whether to allow aggregators to bypass utility demand response programs and bid retail demand response directly into the wholesale markets in Order No. 719,” NRECA said. Several commenters said they opposed giving LDCs veto power. SEIA also raised market power concerns. “Facing true competition from DERs, certain distribution utilities may have incentives to engage in conduct … to protect their current market positions,” it said. Should state and local regulators have opt-out rights over DER? AEMA and the Energy Storage Association said states should not be able to prevent consumers from participating in wholesale markets. Instead, AEMA said FERC should clarify that states have the right to implement retail tariffs that prohibit participants from direct participation in wholesale markets. “In that instance, customers would choose whether they preferred to participate in a retail tariff or … via an aggregator in the wholesale market. The retail tariff could facilitate wholesale services and enable states to preserve their jurisdiction over retail customers, programs, and activities without impinging on customers’ ability to access wholesale markets,” AEMA said, citing Indiana and Michigan Power’s DR service rider. The National Association of Regulatory Utility Commissioners said it opposed a limited opt-out provision that would allow states to require DERs to choose participation in either the wholesale markets or retail programs, but not both. How should concern over double payments be addressed? The commission’s proposed blanket prohibition on wholesale market participation by aggregated DERs that participate in retail programs would “arbitrarily exclude many, if not most, existing DERs from the wholesale market, and limit the benefits that the wholesale grid can capture from these resources,” AEE said. “Dual participation does not equal double compensation,” ESA said. ERCOT CEO Bill Magness moderated a panel at the GCPA Spring Conference that included CEOs John Bear (MISO), Steve Berberich (CAISO), Nick Brown (SPP) and Brad Jones (NYISO).